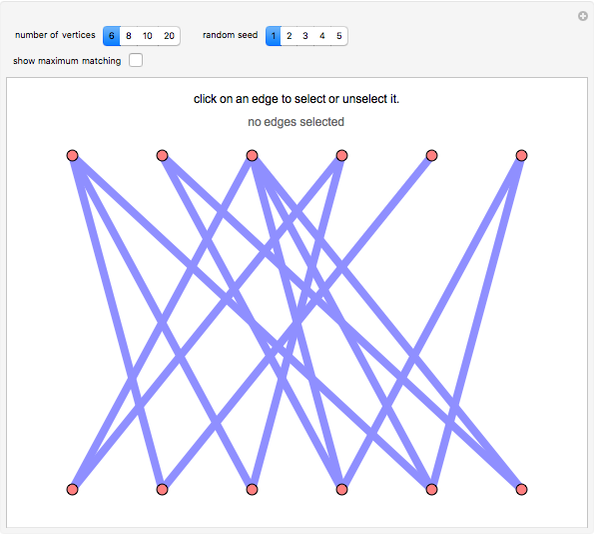 A matching in a graph is a set of edges such that each vertex appears in at most one edge of . 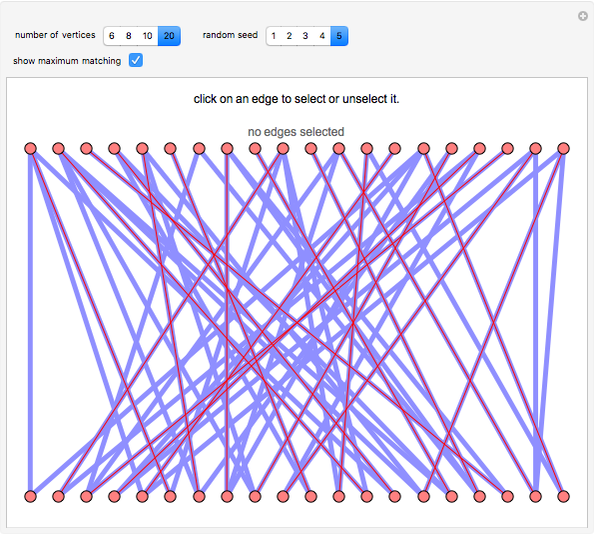 Try to find a maximum matching: a matching using as many edges as possible. 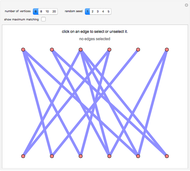 Click an edge to select or unselect it. 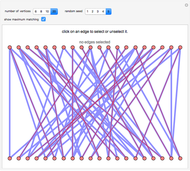 Stan Wagon "Find a Maximum Matching in a Bipartite Graph"